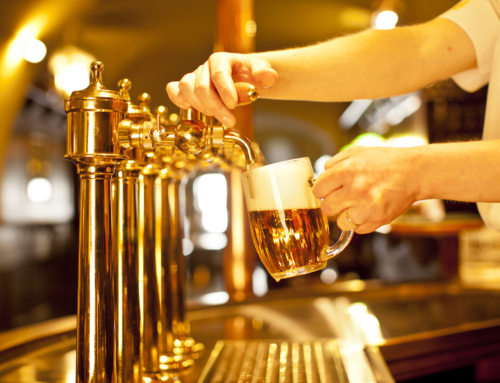 Craft Beer Brands: How Many Do You Know? Home|Beer|Do You Know All These Craft Beer Brands? Alcohol seems to be the driving force of the American economy. According to statistics, the top 10% of American drinkers consume about 10 drinks a day. On top of that, it’s only 30% of Americans who don’t drink. While you are trying to digest this information, the craft beer industry has also experienced an explosion in growth. According to the most recent statistics, 30 million barrels of craft beer were produced in 2017. The largest consumers were millennials aged between 21 and 34. If you are still in the dark, you need to be aware of the biggest craft beer brands in the industry. But the problem is, there are numerous brands out there. If you keep reading, you will get to know the best of these brands. First, What Is Craft Beer? In as much as the craft beer industry is exploding in size, it is still not America’s most favorite beer. That position is held by light beer. Thus, some little education is necessary for first-time craft beer drinkers. Craft beer, according to The Brewer’s Association, is a beer that has been made by a small, traditional, and independent brewery. Unlike beer from big breweries, craft beer has been crafted, and not manufactured, to a unique taste. This means that there can be thousands of different craft beer iterations on the market. Therefore, the market expansion capacity is huge. As a matter of fact, by the end of 2017, there were more than 6,000 craft breweries in the US. Which Are the Best Craft Beer Brands? By the mere fact that there are over 6,000 craft breweries in the market, it can be quite a hassle to select the best brands in a bar. If you continue reading, you will get a comprehensive list of the best in the market, today. The modern American IPA has its origins from the West Coast. It is on this side of America that most of the hops were grown and new varieties cultivated. Thus, it was rare for craft beer from the East Coast to outshine good old beer from the West. But the Ithaca Flower Power did. This craft beer, launched in 2004, is a mixture of hop flower with clover honey hue, the robust fruity aroma from the hop additions, and lush floral flavor. This unique mix is the reason why it has the unique name, Flower Power. The IPA is the current trending style in craft brewing. But back in the 90s, the German Hefeweizen style was the preferred way of making craft beer. The Widmer Hefeweizen is a product from the company that started the Hefeweizen style, that is Widmer Brothers Brewing. This style was developed in 1986 when lagers had crowded the American bars. Since this was not the pure German style, the Hefeweizen was named the “first American-style Hefeweizen”. “American-style” was used to indicate that it was not the original method. Despite other craft beer brands moving on to the IPA style, this brewery is among the few that still produce using this old method. If you are looking for the true father of craft brewery, then look no further. Anchor brewing dates back to the California Gold rush, where this company was born to produce beer for the gold mining population. What makes this brand different from other craft beer brands is their persistent use of traditional methods of brewing beer. They still use a time-honored, handmade art together with an all-malt mash, and an old copper Brewhouse to make their beer. Some of their most popular products include Anchor’s steam beer, Go West! IPA, Old Foghorn Ale, and Anchor IPA. This craft brewing company is located in the heart of Roseland, Virginia. It is one of the few craft beer brands that have a product line of both Ales and Lagers. As such, this company easily satisfies all types of craft beer enthusiasts. The most iconic craft beer you can drink from these guys is the Vienna Lager. It won the award of the first craft beer ever bottled using a combination of Saaz Hops with Vienna, Dark Munich, Pilsen and Caramel nuts. If you have been wondering where the beer can-revolution started, then this is the beer behind it. After Oskar Blues put this iconic brew in a can, other craft beer brands such as Sweetwater and Bell’s followed suit. But apart from being the first in a can, what else is unique about it? Well, Dale’s Pale Ale has a unique taste of bitterness and citrus mixed with a malt, bready backbone. And one of the reasons most people love it to date is because it was one of the first few beers you could take to the river with you. Judging from the name of this beer, some of you can tell it originates from Canadian soil. Specifically, this craft beer has been made in Quebec. And just like most craft beer brands, this is one of the many with rather weird names. In English, the beer’s name translates to “The end of the world”. A 341ml bottle contains about 9% alcohol in it. Ballast Point Grapefruit is the product of Ballast Point craft brewery. Just as promised in the name, this is among the few craft beer brands with actual grapefruit in the ingredients. As such, this beer has a very bitter taste. However, it is in the right proportions that appeal to the craft beer enthusiast. Allagash brings forth Belgium’s unique brewing style to the American soil. The Allagash Coolship Resurgam beer is made out of tart, Belgium-style lambics and Gueuzes. This makes it unlike any other craft beer brands out there in the market. As a matter of fact, it is one of the few which require aging of about three years, before it can be served. And true to the Belgium tradition, the first Allagash brewing factory was built on US Soil in 2007. Yet, it took up to 2012 before the first beer was ever sold. And that beer was the Coolship Resurgam. This is yet another Belgian style beer that is brewed in American soil. The story begins in 1992 when Pierre Celis brought Belgian Wit beer into America, right after his brewery in Austin, Texas, started production. The success of his beer saw other craft beer brands such as Blue Moon imitate his works. Despite his company collapsing in 2000, the Celis White is still a respected craft beer on the market. This craft beer brand is so popular that even non-beer drinkers can associate with it. Samuel Adams is the clever works of Boston Beer Company and is one of the few craft beer brands that have stuck with their original recipe. Samuel Adams is still brewed using the same recipe Jim Kotch used for the first batch back in 1984. This consistency in taste is what most of its enthusiasts love. Some craft beer enthusiasts describe the Mad Elf as the perfect Christmas beer. Like most other craft beer brands, this beer can be taken either through the tap or from the bottle. This is where the real difference comes in. When taken through the tap, the Cherry flavor is reduced and instead, dark chocolate, honey, and the taste of other spices are extenuated. On the other hand, taking it through the bottle increases the cherry flavor over the other tastes. This product has an equally long name as the company which produces it, Dark Horse Brewing Company. Released in February, this Imperial Stout is a mix of dark chocolate, cherry and coffee flavors that hide the craft beer’s booziness. Thus, like most craft beer brands out there, this is an easy one to drink. The ridiculous name this beer has may make you think the drink itself would be a gimmick. But when you taste it, you will realize it’s not. The Clown Shoes Undead Party Crusher is an Imperial stout created out of the holy water and smoked malt. But unlike other craft beer brands that contain smoked malt, this beer surprisingly has a very good taste. The added smoke does not mask the other tastes within the beer, such as the Espresso. Instead, the smoke adds some dryness and roast to the beer that compliments those other tastes. Some craft beer brands are a rare sight at certain times. This is because, the breweries do reverse-groundhog with their stouts, where they use them to herald the coming of winter. However, Old Rasputin is one craft beer that can be found all year round. Yet, despite its lack of rarity, it still never compromises on taste. All throughout, this beer is filled with rich chocolate and coffee flavors that would satisfy any beer enthusiast. This stout is one of the weirdest craft beer brands in the market, and in a good way. First, it has an IBU rating that is double the IPA standard. Despite this, it is still a stout with all the sweetness you would expect in a stout. Second, if you let it age in the bottle, its flavors get more pronounced. These include the rich chocolate flavors, coffee, licorice, and hoppy notes blended in the beer. Its ABV is at 17% and it comes in a six-pack package. This California craft beer brand was responsible for the longest line during the 2013 Great American Beer Festival. Because people were queueing just to get a one-ounce pour of this beer. And the reason why they couldn’t waste this chance is that it was one of the few they could get to try out. The Duck Duck Gooze is prepared using the Belgian Gueuze style of mixing young and old lambic beers and letting them ferment all over again. The result is an aged-oak sour beer that is packed with lots of sour fruit flavors, unlike most craft beer brands out there. Since the Belgian Geuze style requires years of fermentation, this beer was released again in 2016 and probably the next one will be seen in 2019. This is yet another all-year round craft beer you can get in the market. Brewed by The Alchemist, the Heady Topper is yet one of the few craft beer brands you can only drink directly from the can. This is because the beer is made out of unfiltered hop that the brewery doesn’t want you to mess around with. Together with the unfiltered hops, this beer is blended with strong pine and citrus flavors. This beer was also one of the top craft beer brands in the industry. They had to close their store in 2013 due to overwhelming traffic. The Sierra Nevada may not be the oldest craft beer brand, but it is among the few craft beer brands that have maintained their consistent taste since inception. The first Celebration Ale was brewed in 1981, with 65 IBU of Centennial, Cascade, and Chinook hops. Close to 30 years later, the blend has not changed. It is still sold as a seasonal release for the winter holidays. This is because the fresh hops are picked around fall which is about the time the beer is brewed. The beer then hits the shelves around October and is available all the way to Christmas. 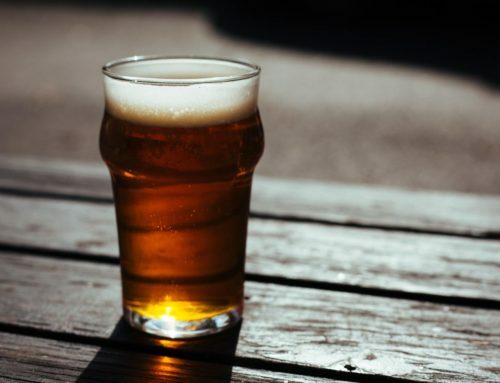 This beer is a favorite among many beer enthusiasts, that it got ranked among the top craft beer brands in the United States. The craft beer experience can never truly end. 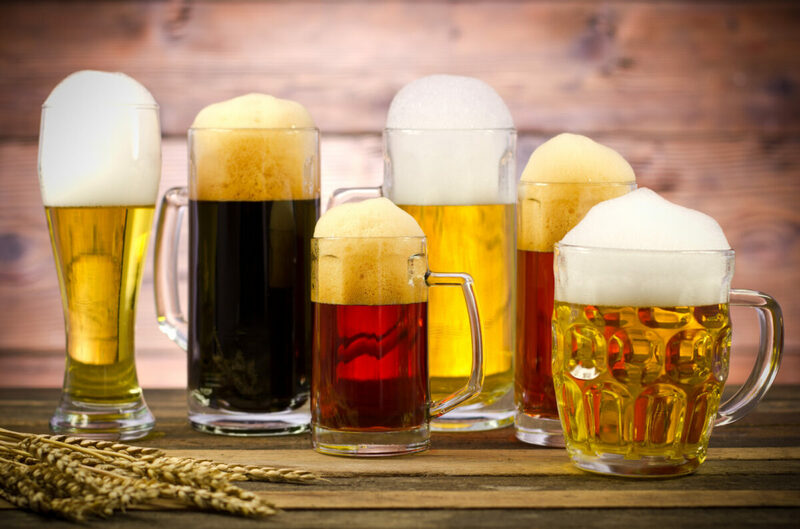 In as much as you have a list of the best craft beer brands you can get in the market, there is still a whole new world of craft beer to explore. Therefore, the best thing to do is grab yourself a keg tap, and enjoy yourself with the best in craft beer. In case you are having trouble finding the best accessories for your beer experience, reach us out here. By QuikTap Staff|2018-04-22T10:33:08-04:00April 17th, 2018|Beer|Comments Off on Do You Know All These Craft Beer Brands?